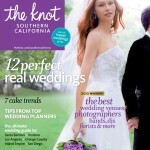 Tweet So proud to be in The Knot’s Southern California Fall and Winter edition with the wedding we photographed in Santa Barbara. Lisa and Alan’s wedding was sooo chic. Kudos to Katy Carrier and Erica España (Twine Events).